Canadian Cancer Survivor Network/CCSN/Pharmacare: Universal or tailored provincial top-up? Pharmacare: Universal or tailored provincial top-up? In February of this year, a commission led by former Ontario Health Minister Eric Hoskins was formed to study the cost of prescription drugs and the possibility of creating a national pharmacare strategy. Proponents of this system argue that the federal government has a larger role to play than just helping the provinces reduce costs by ensuring adequate and equitable drug coverage for every Canadian. On the opposite side of the issue, opponents of a national pharmacare strategy are asking a number of questions that until now have remained unanswered. How many Canadians are insured, uninsured and under-insured for their prescription drugs? How will access to prescription drugs be affected by national pharmacare? And how much cost will be shifted from private insurance plans onto taxpayers under pharmacare? The fear is that pharmacare under federal jurisdiction might become a monopoly. Currently, the Canadian system is the only one that has universal healthcare but not drug coverage across the board. According to the Wellesley Institute, Canadians pay some of the highest prices for prescription drugs across OECD countries. They also state that one in 10 Canadians doesn’t take a prescription medication as directed because of cost. What that means is that Canadians have access to free medical care but when it comes to getting essential medications to treat their medical conditions, they often have to pay out of pocket. Research has found that 25% of uninsured and 10% of insured Canadians can’t pay for their prescription medications. For instance, a cancer patient suffering from a neuroendocrine tumour to the pancreas metastasized to the liver and bones had a treatment that cost upwards of $8,000 a month. Her insurance covered the medication but advised her that her premiums would go up stiffly. In Canada, there are 46 federal, provincial and territorial drug programs, each with their own administration and bureaucracies. Unfortunately, the fate of many patients is ultimately determined by where they live. From Manitoba west to British Columbia, all medically necessary prescriptions for oral cancer drugs are covered. But if they live in Ontario eastward, they must pay for oral cancer medications, while the cost treatment delivered via IV in hospital is covered. Even worse, some patients decide to decline oral treatments altogether rather than bankrupt their families. If you have health insurance and rely on it to pick up the tab, which usually takes a few weeks during which time you are likely very anxious. 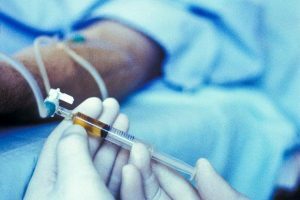 Advances in medical technology and pharmacology have made many cancer treatments available in outpatient form – about 60% of therapies are take-home options, typically pills or self-injectables. They offer freedom from lengthy stays in hospital and less cost to the health care system. But unless you have private insurance from your employer or public insurance through your province, you’re on the hook for the bill. The average price for a month of oral cancer medication is about $6,000 – and treatment can last for a year or longer. According to the Wellesley Institute, there are some common misconceptions about prescription drug coverage in Canada. One is that workers are covered by private insurance. For high income earners, 94% receive private insurance from their employers, but only 17% of low income workers do so. Likewise, women, young people and part-time workers are much less likely to be covered than other Canadians. 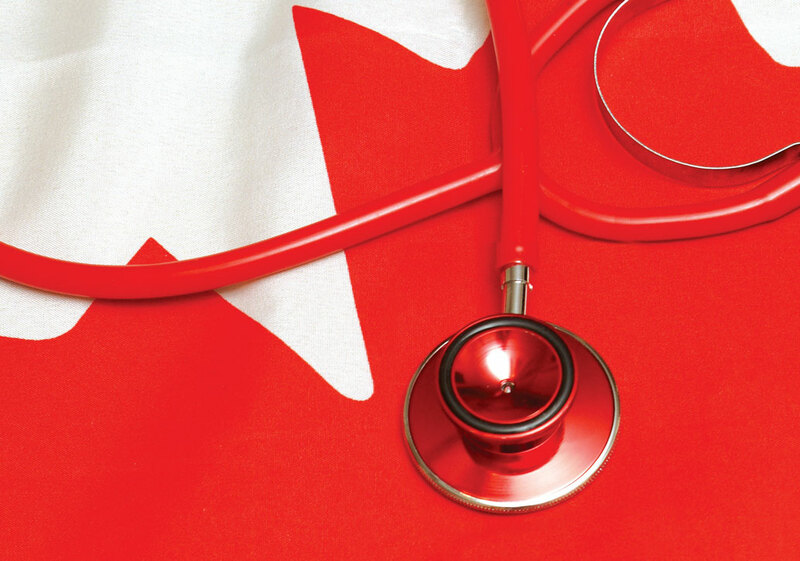 In 2016 a panel of Canadians was held and concluded that Canada is ready for a national, publicly funded pharmacare plan to go along with its universal health-care system. The panel recognized that the current patchwork of public and private drug plans leaves about 20% of Canadians with little or no coverage for prescription medications. They also found that Canadians should have access to prescription drugs free of charge in a federally funded system and that the government should act to ensure that it is equitable and cost-effective. 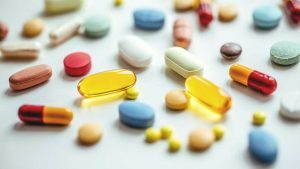 The panel added that there should be a new national formulary of prescription medicines covering the full range of individual patient treatment needs, including those for rare diseases. They acknowledged the difficult task ahead and so they proposed that first the government implements a short list of commonly prescribed drugs – such as those for treating high blood pressure, cardiovascular disease, diabetes and asthma – and later develop a more comprehensive formulary. The panel also projected that there are huge savings to be realized by implementing such a plan which could help offset the cost of the program. Estimates indicate that the savings would range between 4 and 10 billion dollars a year since Ottawa could harness savings on the whole sale price of drugs that the provinces can’t achieve individually. Brett J Skinner, the CEO of the Canadian Health Policy Institute and his colleagues argue that “there are at least three reasons why Canadians should be skeptical about pharmacare.” First, they say, pharmacare will see a shift of $13.2 billion in private prescription-drug-related costs onto taxpayers and as a federally funded program it would cost $25.5 billion to the federal purse which is currently paid by provincial and private sectors. In addition, employment losses and other indirect economic costs would result in another $4.1 billion in the first year. The second point is that to avoid these costs, a national pharmacare strategy would have to cut coverage and reduce patient access to medicines. For instance, out of 39 new drugs approved by Health Canada in 2012, 92 % were covered by at least one private drug plan compared to only 28 % that were covered by at least one public plan. For the new drugs that were covered, private drug plans took 143 days on average to approve coverage compared to 316 days for public drug plans. This suggests that a private system is much more efficient than a public one and that a pharmacare monopoly could force 24 million Canadians to accept the inferior coverage provided by public plans. Thirdly, they argue that the intrusion of the federal government in provincial jurisdiction is not necessary because the provinces already provide universal drug insurance coverage for catastrophic expenses. It seems that both arguments in favour and against a federally funded pharmacare system are based on sound evidence, so the real question here is what do Canadians think they should do?